Clamp post knob. 2"D x 1.25"H, 3/8" threaded shaft base, 1" depth. 24 thread per inch. Screw-on mount. Slightly raised perimeter detail for grip. 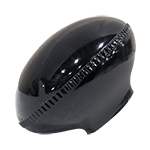 Black plastic. Brand new in package.Alt P/N: S442-4. Surplus military aviation. NSN: 5355-00-667-5532. 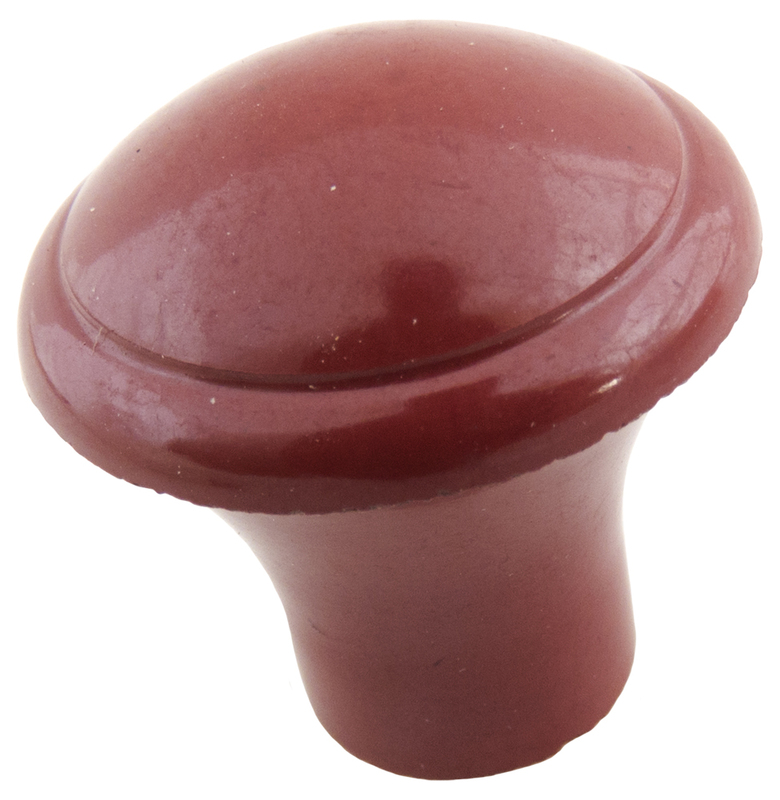 Red phenolic mushroom push-pull knob. Brass insert. 10-24 thread, 1/4" deep. 0.564" d base. 1.045" widest point. 1.113" high. Great for drawer pulls in that 1950's kitchen! 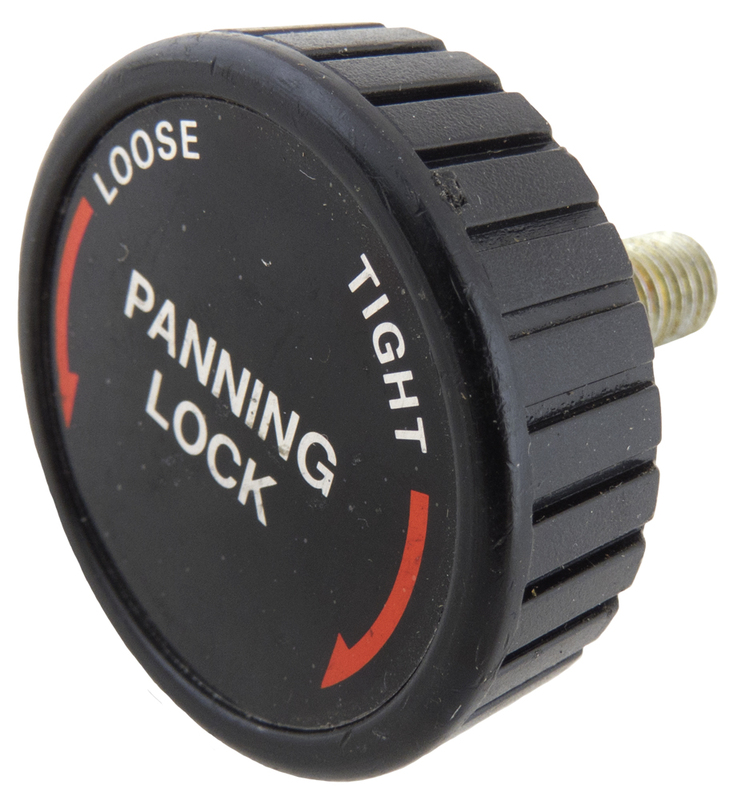 "Panning Lock" clamp post knob for camera tripod. 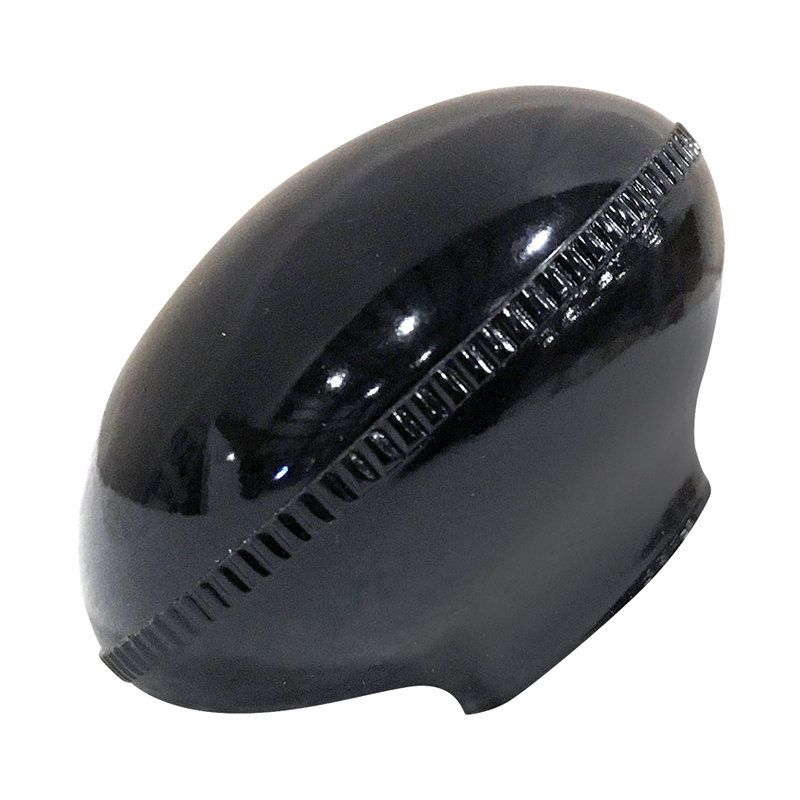 Black plastic. 5/8"H x 1-1/2"D fluted sides. 0.310" stud x 0.940"L.
Harry Davies for SRS fluted torque knob. 1/4" x 0.62" stud. 1.25" diameter. 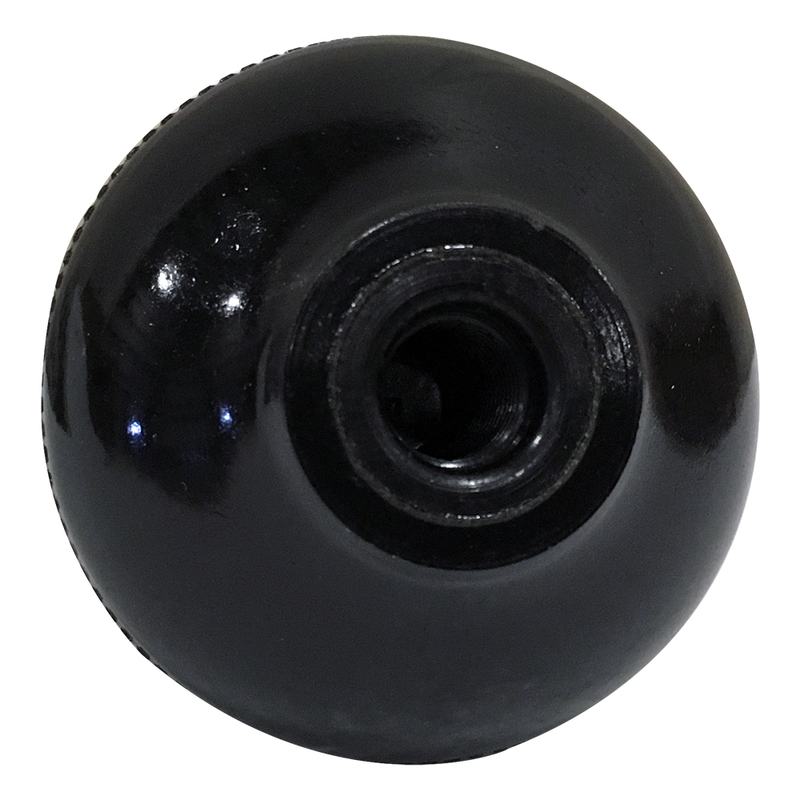 Black knob with grooved edge. Collins used this knob for securing mounting brackets. 1/4-20 male thread. 1-3/8" diameter. 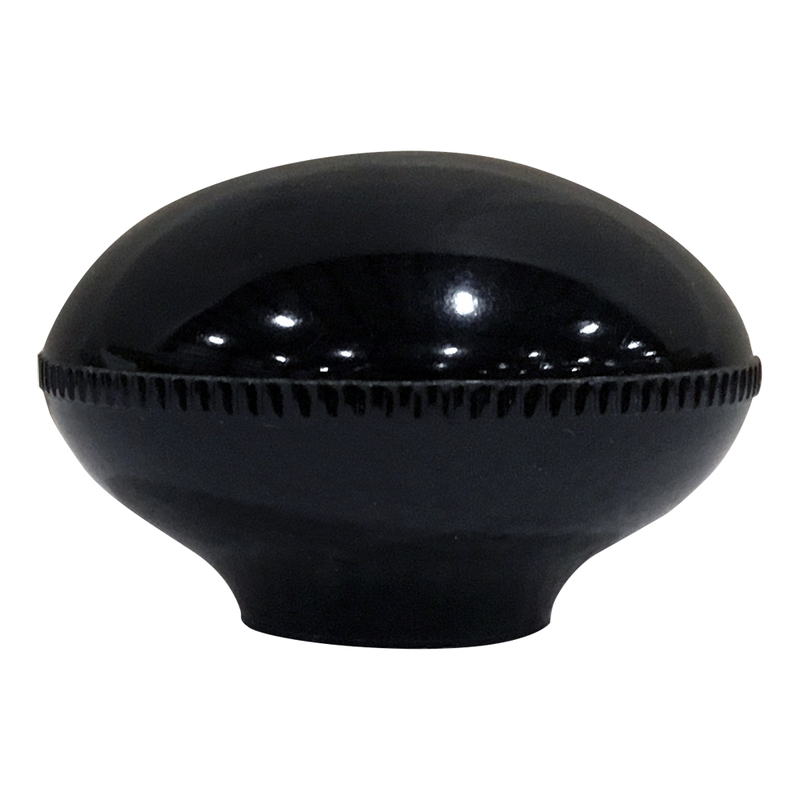 Black knob with grooved edge. #10 male thread. 3/4" diameter. Vintage bakelite clamp post knob. Brass insert. 14-20 thread. 2-3/8"D x 7/8"H.